Hey kids, I need a good picture of you three = I end up with this. Eh, I still like it because I love these weirdos. 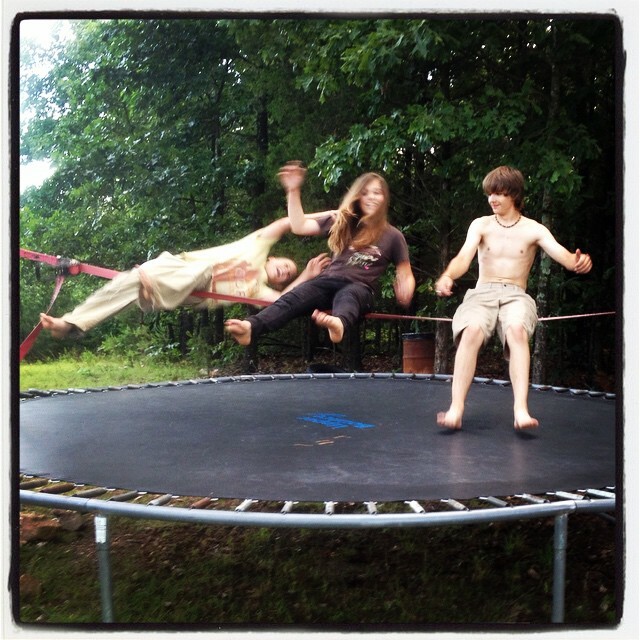 The slackline over the trampoline though, you need nerves of steel or the ability to look away. Probably both.